Caice has provided a continuous 300mm deep acoustic louvre system for a Biomedical Research Laboratory in Cambridge. 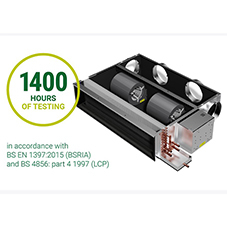 Caice successfully secured the project based on being able to design a suitable acoustic louvre system that met the acoustic requirements, pressure drop limitations and aesthetics for the project. There was also a requirement for insulated panels to be fitted in areas behind some sections of louvres. 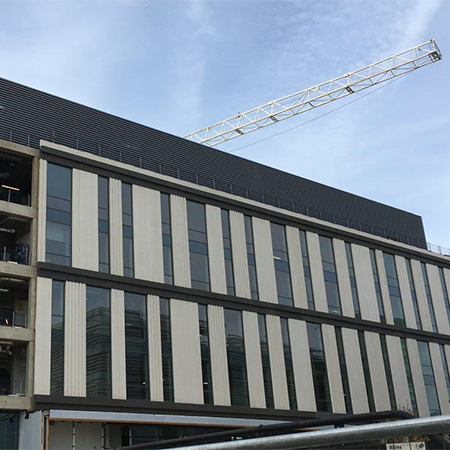 Due to the location at high level and restricted working space most of the acoustic louvres were lifted into position using the site tower crane. Each module had integral lifting eyes and nutserts to speed up the process. Once in position Caice used correct external grade electric scissor lifts to ensure final safe access to both inside and outside faces of the acoustic louvre screen. Fixing insulated panels to the rear of the louvres also required a bespoke solution. 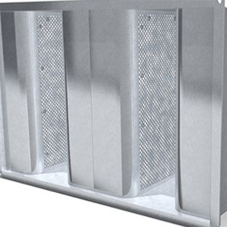 Caice undertook the design of a continuous 300mm deep acoustic louvre system with a matching blade profile 150 mm dummy sections for those areas where airflow was not required. 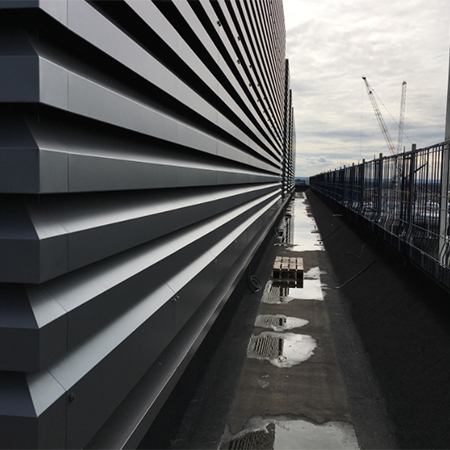 The rear insulating panels were reinforced with Caice brackets to enable a quick fix of louvres with pre-laser cut holes directly to the panels using standard cladding tek screws which enabled on site installation to proceed rapidly. The whole idea was to create a large area of acoustic louvres with no horizontal or vertical breaks forming a continuous line of blades. This also maximises percentage free area based on the true physical free area. 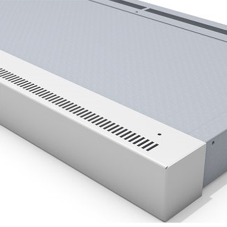 Caice will only use the real free area data and not, what is often used in our industry, based on visual area looking directly at the front of the louvres .This ensures the design team get the area and airflow they expect with no concerns at commissioning with undersized acoustic louvres. The customer was very happy with the result, stating:"The continuous acoustic louvres look excellent, it makes a huge difference from the old style of split louvres with flashings all over them. The nicest looking acoustic louvres I’ve seen”.